Welcome to Best Printing NYC – Automation Graphics. We are a full service printing company providing high quality digital and offset printing, copying, desktop publishing, graphic design, and promotional products. We also offer a wide array of office supply products and cutting edge office organization solutions. We Guarantee you the highest customer experience and the lowest prices. We are your full service printer for any job you have. No job is too big or too small. 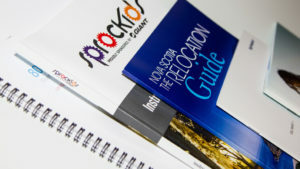 See our Commercial printing page for an overview of the many types of printing we do. We are simply the best printer in NYC. Call today for a quote or any other questions you may have. Once you work with us you will never want to use another printer. We’ve been in this business since 1956. We have the experience that no other printer in NYC can match. We specialize in fast, custom, short run, on-demand digital printing solutions including large format and wide format poster and banner printing, and Commercial Offset Printing. When compared to our competition, we print faster, cheaper and better! 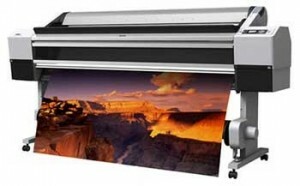 We can print on demand digital printing for any job, large or small. We print traditional offset printing for large run jobs or oversized printing. We have extensive experience in corporate printing including annual reports and multiple materials for business and corporate events. We have significant experience in working with small businesses to find printing solutions that are affordable, fast and effective. We proved custom printing solutions that meet any size company and any budget. With over 50 years experience, no matter what your concerns we have most likely experienced similar client request in the past. We have the experience to make sure all of our jobs go well without any unexpected delays or errors. In addition, we have kept up with changing technology. Being a successful company for so long has enabled us to reinvest profits into upgrades in our machinery and technology throughout the years and kept us at the forefront of digital printing technology. Believe us, technology has improved rapidly in the printing industry and we have been the leaders in early adaptation of new machines. Money well spent in our opinion! 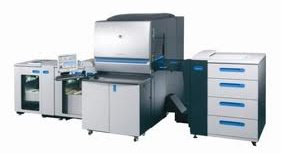 With our advance printers we are able to provide short run digital printing in no time. We can fulfill any size job, budget and timeframe. This includes banners, large format prints, posters, brochures, bi-fold & tri-fold, black and white copies, color copies, invitations and just about any other jobs you can think of. We are also able to meet any requirement for long run offset printing. We can print large quantities of anything, annual reports, catalogs, posters, mailings, postcards, booklets, and any other type of mass printed materials. No job is too big. We will deliver your job on time and for an affordable price. It’s no wonder we have been printing for large corporations and investment banks for over 50 years. Call our knowledgeable staff today to get started with the best printing in NYC. We have the experience to answer all of your questions, match all of your concerns and facilitate your job start to finish. We are conveniently located adjacent to the new Hudson Yards construction development. We are a full service printer for all the residents and businesses within Hudson Yards. Call us today for all your custom printing needs. An annual business report is vital for any small or big business. Many companies distribute their annual reports to all of their shareholders and other individuals who are attracted to the polices. The report holds all the information regarding the organization’s business actions carried over the previous year. These can include investments, achievements, goals and other important information as well. Getting your annual reports printed has many benefits. Firstly, with a high-quality report, you will be able to promote your corporation’s business-related activities. As a result, there is a high chance that your popularity will increase. Secondly, you might able to attract more shareholders and high potential employees, which is quite beneficial. The one thing we don’t compromise on is the print quality. It is important that your annual business report is eye-catching enough for all the interested parties. The report should have a proper design layout that makes it worthy of reading. It should consist of the right font and style. 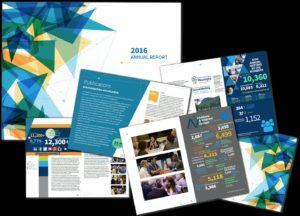 Our professionals ensure that your content delivers swiftly through some of our best business annual report printing designs and technique. Another reason for you to hire our printing services is that we deliver your work order on time. Our highly skilled staff is well experienced and can meet your time requirements. Our highly experienced and qualified team guarantees to deliver in less time with the same print quality. Moreover, we put modern technology to use in our printing. Our equipment is of high-quality, delivers consistent results, and allows us to meet even the tightest deadlines. There are different options that you can make use of for designing the perfect business annual report for your corporation. For instance, you can choose from different paper sizes. You can also choose from different types of color printing options alongside the text stocks. It is vital for you to select the correct paper size and the right printing design. Our professionals are ready to serve you to make up a successful annual report. Binding is an important step after printing your report. This completely depends on the size of your report and the number of printed pages. Wire Bound and Plastic Coil Bound are some of the most common binding options that you can make use of. Most printing service providers provide you with cost-effective solutions that lack the same high print quality. The printing result might not fulfill your expectations. Our printing agency guarantees a high-quality result regardless of any package. We can also provide evaluations and free estimates on the total procedure as per your request. If you are looking for business annual report printing services in NYC, call us now at 646-205-3037.